How to Legalise with Apostille? If you do not have a printer, please write down your name, email, telephone and return address and send together with your documents. Discount available for more documents. What I need to know ? 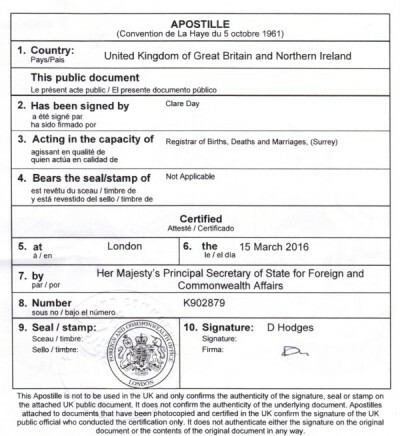 Before you legalise your document with Apostille identify whether your documents need notary certification to get apostilled. We can certify any document by a Public Notary or Solicitor when necessary. Most company documents can be Legalised by simply scanning and emailing to us together with your contact details.